You’re busy. We get it, but when it comes to your patients, it’s worth taking the time to get it right. Creating a personalized treatment plan can be a bit more time-consuming than a self-serve model, so is it worth it? We’ve done a little digging and found some stats that show how sending prescriptions will help you and your patients get the most out of your online dispensary. Let’s get to it! When we looked at our top accounts by reorder compliance, we saw a striking difference in the number of re-orders. Those who took the time to create a personalized treatment plan saw patients re-order an average 8.1 times, whereas there are only 3.2 re-orders from patients without a treatment plan. That’s a 153% increase in re-orders just from sending a prescription or personalized recommendation! The benefits of taking this extra step are well worth it for patient care and it’s easier than ever to create a prescription with the new Advanced Search tool. Creating a treatment plan not only affects how patients stick to the plan, it also affects the average order size and improves patient experience. 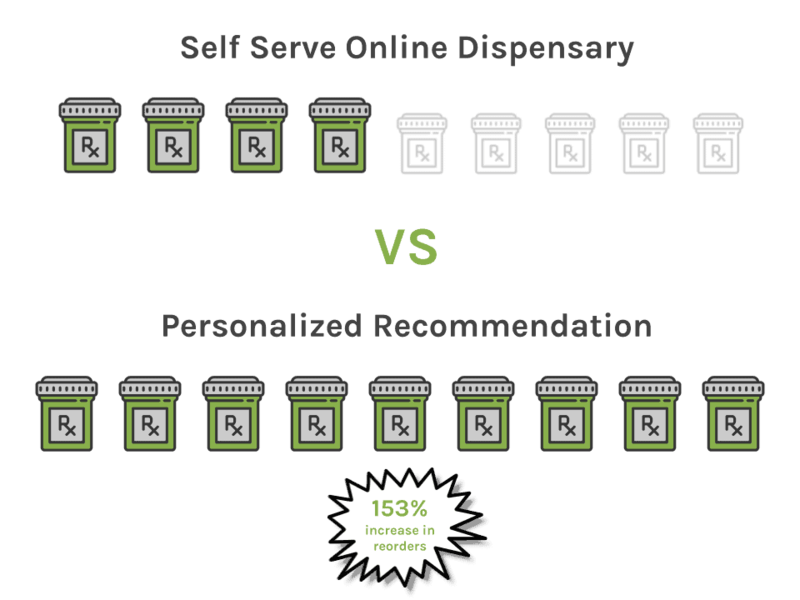 Within the same sample set of top accounts, we saw that personalized prescriptions led to 10% larger order than orders that came from a self-serve Fullscript catalog. This indicates that patients stick closer to the recommended list of products when they have clear instructions on what to order. This will also go a long way towards accomplishing their health goals! Finally, when we looked at a patient’s interactions with these practices, we saw that there was on average a 238% increase in patient lifetime engagement when a personalized prescription was sent. This highlights just how important it is to send personalized treatment plans. As more prescriptions are filled via the Fullscript prescribing tool, you’ll get better visibility into continued patient compliance and the peace-of-mind that your patients are receiving exactly what you’ve recommended. A bit of extra guidance goes a long way! As we found out, sending personalized prescriptions is an objectively better approach, and it’s easier than ever with Fullscript’s user-friendly tools. If you aren’t seeing these results, or don’t know where to start, check out Dr. Vincent Pedre’s tips on how to write effective prescriptions. Click here to view the original blog. P2P integrates with FullScript through our Nutraceutical Virtual Dispensary! Easily order professional-grade supplements inside the P2P patient chart and have them drop shipped directly to your patient’s front door!